A few weeks ago, we show you how to embed the Instagram post on blogs and websites. Recently Facebook and Google+ added the new feature embed post, which allows you to embed any of your post, Video Post or pictures post on your blog and website. The new feature is simple to use and doesn’t require any coding skill, all you have to copy the embed post code on your blog and you are done. For all the bloggers it is a useful feature to share all social media post on the blog with their readers. Today, in this post we will show you how you can easily embed a Google+, Twitter, Facebook Posts on your blog or site. The process is very simple and takes 2 to 3 minutes to embed the post. So lets begin and take a look at how easy it is is to do this. Find the Google+ Post which you want to embed, here we are using the post from our Technobuzz Google+ page. Now click in the top right corner of a post, here you will some option like Link to Post, Embed post, Mute post etc. 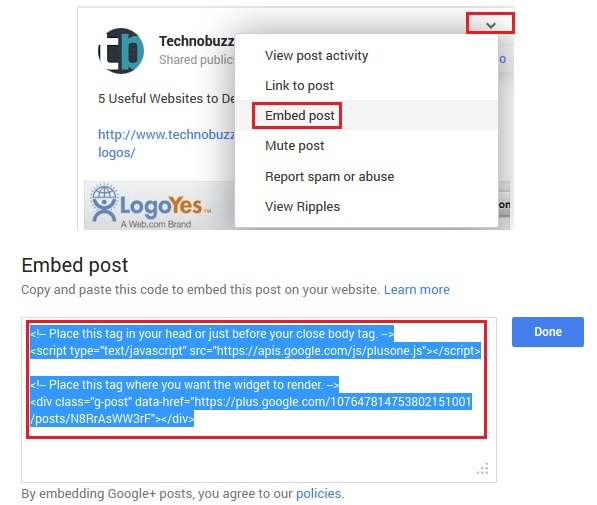 From here click on the “Embed post” and you will the embed code for your blog and site. Copy that code and paste on your blog or any other html page. Login to your Facebook account and find out the post which you want to add on your blog or site. 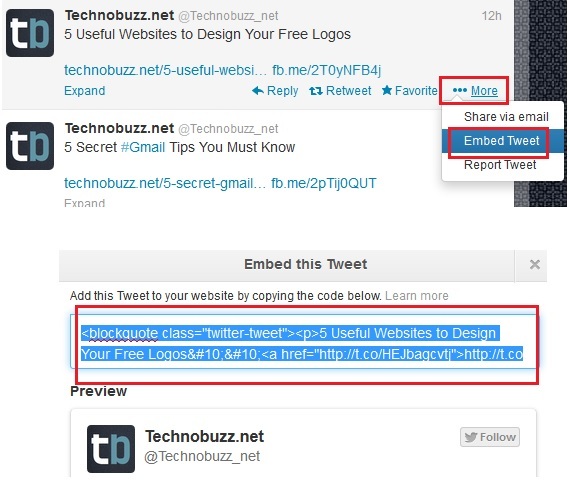 Again here we are using Technobuzz Facebook page post, to show you how the embed works on blog. 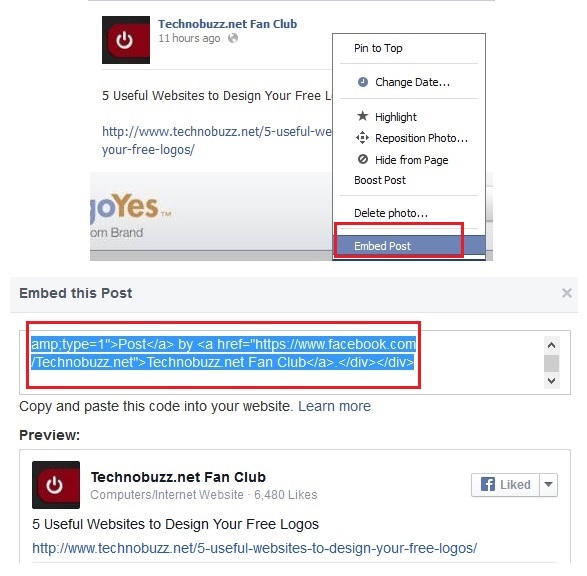 Click on the top right of a Facebook post, here you will see the “Embed post” option, click on it to get the code. Copy the code and again pate it on your blog post. See the result below of Facebook Embed Post. Post by Technobuzz.net Fan Club. The process is so simple no need to login your twitter account, just look for the post which you want to publish on youir blog. For this example, I am going to use Our Technobuzz twitter page post. Click on the bottom right hand corner where it says More and from here select the “Embed Tweet“. Copy the code and paste the same on your blog. How will you use Google+, Twitter, Facebook new embedded post feature? Share your creative ideas!